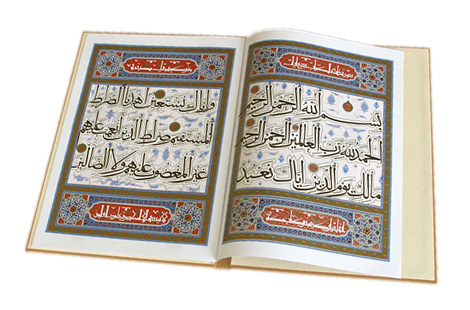 Tradigital aspires to the revivification of the Islamic tradition of book production, calligraphy and illumination. Tradigital has as its goal to produce new publications in Arabic, that have no limitation in their design, legibility and the use of accents. The new publications are designed in accordance with traditional patterns, and produced with the latest technologies in typesetting and printing and with the very best materials available. Further, Tradigital wants to preserve the traditional knowledge of the East by digitising old manuscripts and books and making them available world-wide on CD-ROM, on the internet or as printing-on-demand products in small editions for experts.